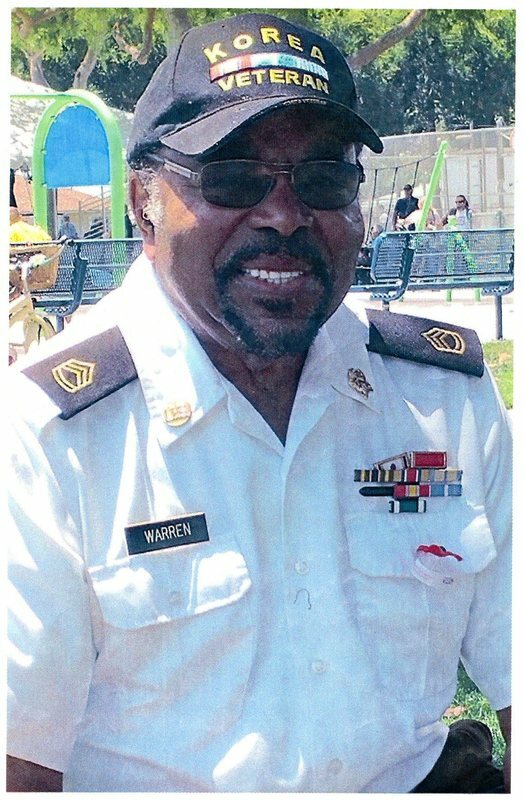 Sergeant First Class Andrew Garland Warren, Sr. Submitted by Andrew Warren Sr. When I first joined the Navy, segregation was still prevalent in the military. As an African-American male, my job was as a Steward. I served the officers meals and kept their quarters tidy. Once President Truman did away with segregation, I advanced to Seaman Third Class and became a cook. I served on the USS Haven AH-12, which was a hospital ship. We were in Inchon Harbor. After four years in the Navy, I left and worked at the VA Hospital in Long Beach as a Nursing Assistant while I attended Long Beach City College. While I was in the Navy I took many training courses and learned many skills. My time in the military afforded me the opportunity to get an education and buy a home. I graduated from Long Beach City College in 1958 from their Auto Mechanics and Restoration program. In 1979 I started work for the Army Reserves in Los Alamitos. As a requirement for work, I needed to join the Army Reserves. I started there as an equipment servicer then equipment mechanic and ended my career there in 1992 as an equipment inspector. I have volunteered at Grant Elementary, the Red Cross and the Long Beach Water Dept. as a water ambassador. I have a son and daughter, seven grandchildren and three great grandchildren. My wife and I bought a home in Cherry Cove 1972 looking for a better life in Lakewood.